This entry was posted in Japanese Literature, Literature and tagged Akira Kurosawa, Rashomon and Seventeen Other Stories, Ryunosuke Akutagawa by Simon Lavery. Bookmark the permalink. Fascinating stuff, Simon. I’m tempted to give these stories a go at some point in spite of your comments on their variability – I like the sound of the early stories in particular. For some reason, I seem to have missed out on most of Kurosawa’s films, another gap I need to address at some point (hopefully in the New Year). Ikiru will be my starting point, but I’ll add Rashomon to the list too. I’ve only ever read “In A Bamboo Grove” – which was excellent, so I obviously need to explore further! They are all of interest, Karen, especially the bleak, late ones. Thank you! 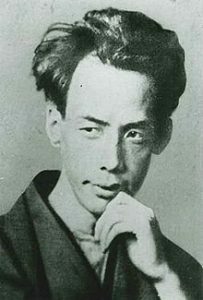 I’ve seen quite a few of Kurosawa’s films (some of his early ones quite recently), but I’d never heard of Akutagawa. I’ll have to get this book. Murakami’s recommendation is another definite plus. The introduction by Murakami gives useful context, Paula. If you enjoyed the films you’ll probably enjoy this book. I hope so. Having read Hell Screen, it’s great to hear about some of the other stories. I have In a Bamboo Grove and The Life of a Stupid Man as a Little Black Classic but I think I’m just going to have to bow to fate and buy the whole volume! Grant: I’m sure you’ll enjoy them. But they’re all very different – be warned. I just recently read Grant’s review of Hell Screen in the Little Black Classic, but had decided to pick up the whole collection. Your review absolutely confirms that. Interesting that they’re a bit uneven, but they never sound less than at least interesting. Rashomon is an extraordinary film. Happy Christmas by the way! Oooh, I want to read this! I own a copy, and have been meaning to for quite some time. (That would be a common refrain from me, wouldn’t you say? Sorry to keep repeating it.) 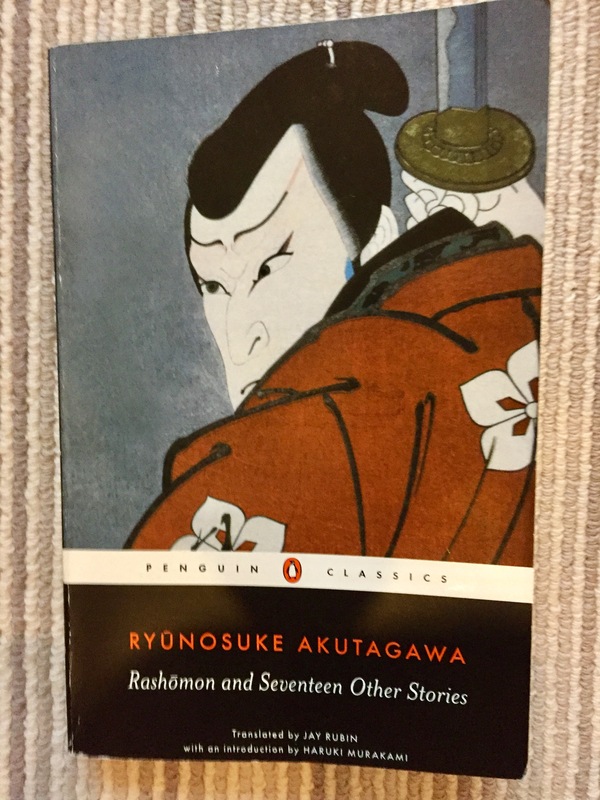 At any rate, there is talk about resurrecting the Japanese Literature Challenge which I have hosted for the past 11 years, although not in 2018. If I began it again in 2019, would you have some interest? I do love Japanese literature with all my heart and would love to share it with you and others.